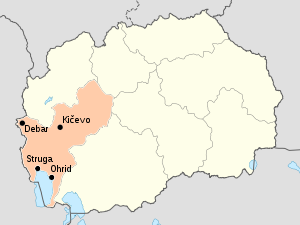 This is a list of cities and towns in North Macedonia. 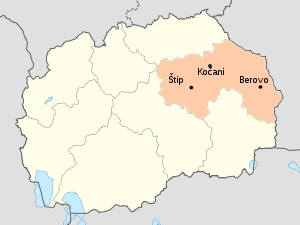 In the country there are 34 cities, of which 5 have population of over 50,000 and 12 towns with population of under 10,000 people. 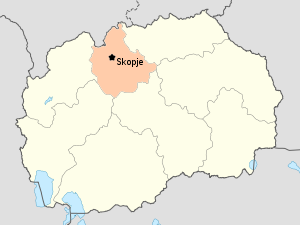 The capital city, Skopje, is home to around 25% of the total population of the country. As of 2002, 59.5% of the population lived in urban areas. 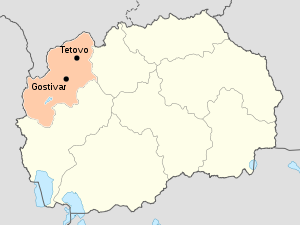 Twelve Macedonian towns have population under 10,000: Demir Hisar (2,593), Pehčevo (3,237), Demir Kapija (3,275), Makedonski Brod (3,740), Valandovo (4,402), Makedonska Kamenica (5,147), Kruševo (5,330), Bogdanci (6,011), Kratovo (6,924), Berovo (7,002), Probištip (8,714) and Resen (8,748). 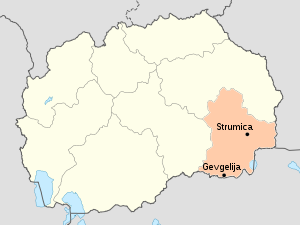 These towns are officially called "cities", but they are often called as "small towns" (гратчиња, gratčinja), because of the size of the population. 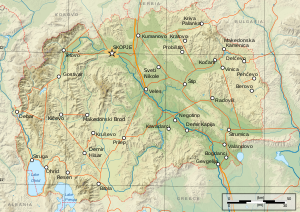 In North Macedonia there are only 5 cities with population of over 50,000: Skopje (506,926), Bitola (74,550), Kumanovo (70,842), Prilep (66,246) and Tetovo (52,915). These are the largest cities in the country. 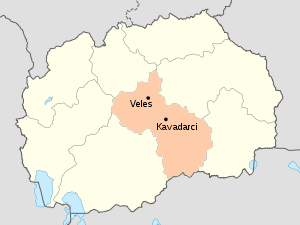 Seventeen Macedonian towns have population between 10,000 and 50,000: Veles (43,716), Štip (43,652), Ohrid (42,033), Gostivar (35,847), Strumica (35,311), Kavadarci (29,188), Kočani (28,330), Kičevo (27,067), Struga (16,559), Radoviš (16,223), Gevgelija (15,685), Debar (14,561), Kriva Palanka (14,558), Sveti Nikole (13,746), Negotino (13,284), Delčevo (11,500) and Vinica (10,863). 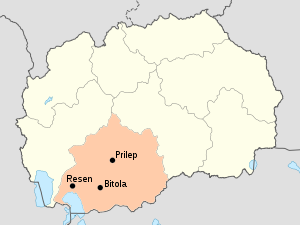 These towns are often referred to as "cities of medium size". ^ a b c d e f g h i j k l m n o p q r s t u v w x y z aa ab ac ad ae af ag "Попис на Македонија" (PDF) (in Macedonian). Завод за статистика на Македонија. 2002. Retrieved 2012-05-26. 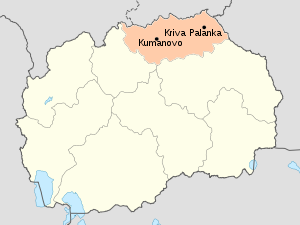 ^ Government of the Republic of Macedonia. "2002 census results" (PDF). stat.gov.mk. Retrieved 2010-01-30.